Don’t you hate it when your computer says no? How about when you’re finishing an important project and your system dies? Well, have no fear – MacMan is here! Our on-site workshop at MacMan Horsham means that our team can diagnose and fix any problem. From severe hardware crashes to simple software fixes – we can help. You’ll be surprised at how cost-effective our service is and how easily we fix issues. Over 1000+ reviews on Google, FB, and reviews.co.uk! We can do it all. With our years of experience, there’s nothing we haven’t seen before. That means we can diagnose quickly, efficiently, and give you the best advice you need. Do you have a problem with your Mac? You can pop into our store anytime to discuss the issue. If you can’t make it to our store, feel free to give us a call or drop us a message here via our contact page. When our team has found the problem, we will explain it and help you to make the best decision moving forward. We will let you know how long it will take and how much it will cost, with no hidden surprises or fees. Most repairs are fast, as we stock most parts in our dedicated workshop. We always aim to be competitive and offer exceptional value for our repairs and service. Before any work starts, we will give you a quote for approval. You’ll be safe in the knowledge that your Mac is being repaired correctly and at a price which works for you. We are confident in all our work and we are always here to help. All of our repairs carry a standard 90-day Warranty. With a variety of options available, we will help you get the right storage needs for your system and your needs. Do you need a faster system or more browser tabs open? We will help you with your RAM needs and get you the right option for your Mac. Our sister company – The Mac Store, offers low-cost and high-quality refurbished MacBooks. You can order a machine at a fraction of the regular cost and with next-day delivery available. Let us keep you posted with the latest goings-on at MacMan. Copyright © 2004 to 2019 The Mac Man Ltd. Registered in England and Wales. Company number 7102340. VAT Reg 981 9988 36. All rights reserved. Mac and Apple are registered trademarks of Apple Inc. View Legal Information. Browse our selection of lovingly refurbished Macbooks, MacBook Pro’s & iMacs. All of our refurbished Macs come with our standard 6 month MacMan warranty. You can increase this to 12 months at checkout. 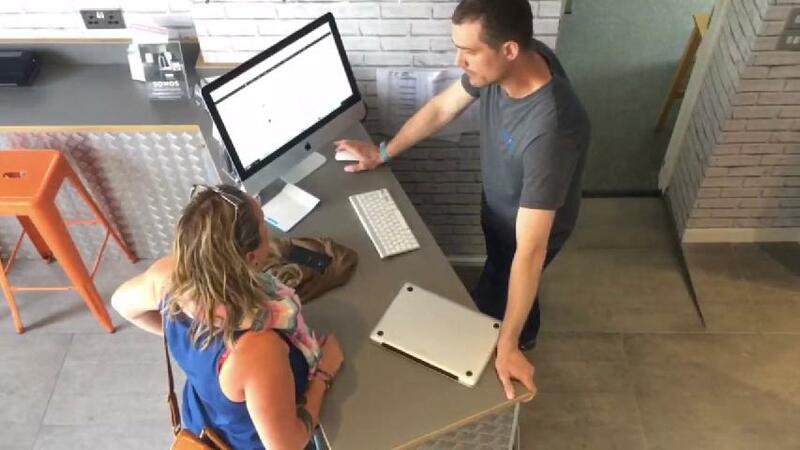 If you’re struggling to find what you need, get in touch and we’ll do our best to source your perfect refurbished Mac. MacMan Upgrades We can often make upgrades to RAM & storage. If you have a requirement let us know before spending time searching.